One of my favorite things about being a mother to little children is that I get to dress them up however I want! 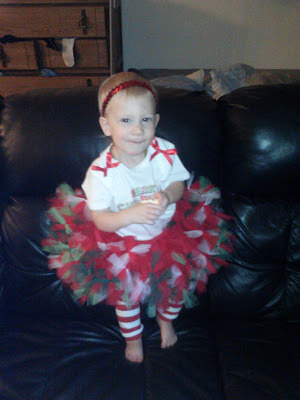 :) My daughter has been especially fun because there are fun things like tutus to dress her up in! :) Her first pictures are of her in a tutu and now this Christmas I get to dress her up in a super cute Tutu outfit from Pansy Pie! They specialize in Boutique Tutus and Tutu Outifts for babies and toddlers and her Tutus and Tutu outfits are designed and created with lots of love. They use only the highest quality products in their creations and strive to make the BEST product for customers. Each and every tutu is handmade in the US with the finest American made tulle and they pride themselves on making the "World's Poofiest Tutus". No skimpy tutus here! These tutu sets make the perfect gifts for Holidays, Birthdays, Photoshoots, Baby Showers, & Dress-up and their tee graphics are custom designed to coordinate with many of the tutus, making them fun to "mix n' match". My daughter received the fun 2 piece Merry Christmas Set and I can not wait until Christmas now for her to show it off!! Your little sweetie will feel like a princess too on Christmas in one of these signature-tied tutus. This “Christmas Blend” tutu is a festive blend of red, white, and green Christmas colors which is sure to put a smile on your little girl's face for the holidays. My daughter had fun trying on this outfit! At first she was a little freaked out about the tutu (because it is really full!) but after a couple minutes she was dancing and prancing and showing off the tutu set like a pro! My son also had to get in on the fun! 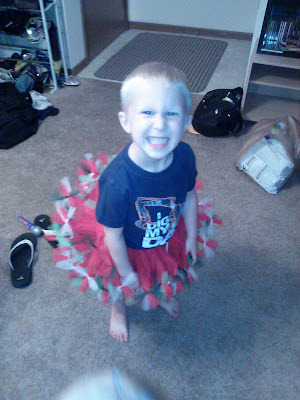 He thought the tutu looked so fun so I let him try it too! 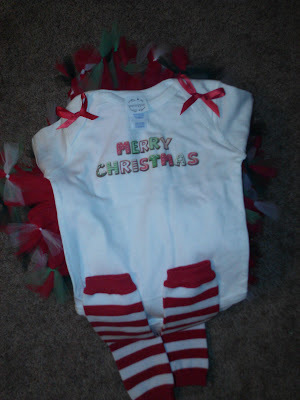 If you are looking for a fun outfit to dress your daughter in this holiday season (or ANY season! 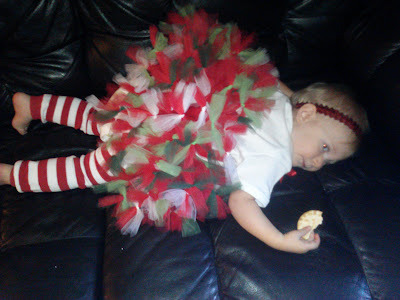 ), then check out all the cute tutu and tutu outfits from Pansy Pie! Buy It: You can purchase all the handmade tutu sets at www.pansypie.com. And make sure to use coupon code ReviewStew for 40% off anything on the Pansy Pie website!! 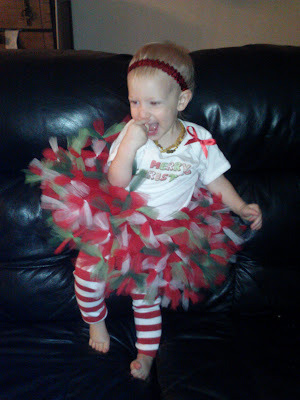 Win It: Pansy Pie is generously offering (1) Handmade Christmas Tutu to a lucky winner!